Maxceram 300 is an epoxy ceramic efficiency coating, formulated using the latest polymer technologies, enhanced further with the addition of high-quality silicone carbide fillers. The product is used principally for the long-term protection pumps and fluid-flow equipment. The product has an ultra high gloss finish, designed to reduce internal friction, improve pump efficiencies and lower energy consumption. 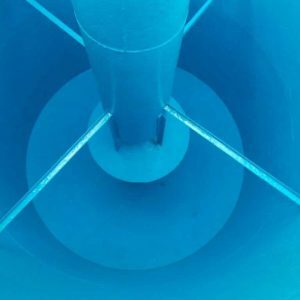 MAXCERAM 300 – CERAMIC FILLED EPOXY COATING is a high performance wear resistant coating formulated using the latest solvent free, epoxy resin systems, enhanced further with the addition of high-quality silicone carbide ceramic fillers. 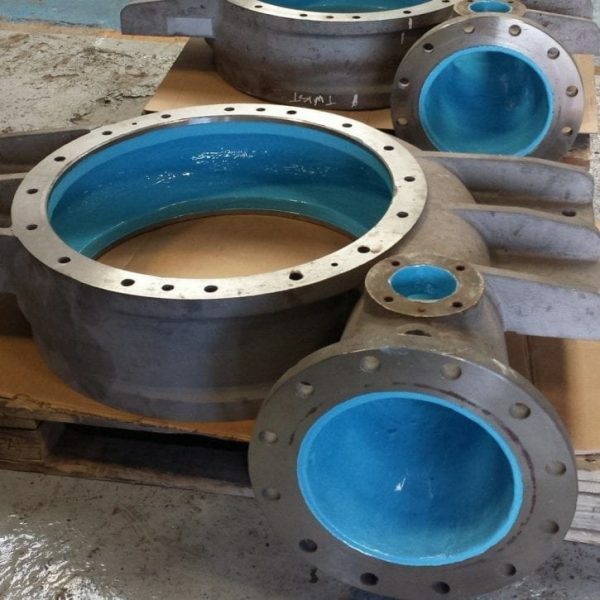 The Coating is designed principally for the long-term protection of worn pumps and fluid flow components or on plant and equipment suffering material lose due to erosion, corrosion, cavitation and wear. The material has an ultra-high gloss surface finish, designed to reduce internal friction, improve pumping efficiencies and help to lower energy consumption. The product is supplied as a 2-component product (PART – A & PART- B), that requires mixing before use, once mixed the product can be applied directly to prepared metal surfaces by brush, squeegee or plastic applicator. MAXCERAM 300 – EPOXY CERAMIC COATING is a wear resistant industrial coating formulated using the latest solvent free epoxy technology, enhanced further with the addition of high-quality silicone carbide ceramic fillers. 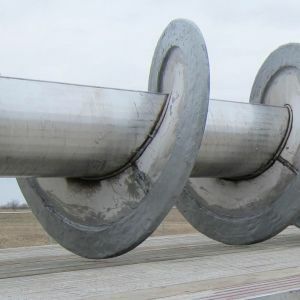 Designed principally for the long-term protection of worn pumps and fluid flow components or on plant and equipment suffering material lose due to erosion, corrosion, cavitation and wear. The material is supplied as a 2-component product (PART A & PART B), that requires mixing before use, once mixed the product can be applied directly to prepared metal surfaces by brush, squeegee or plastic applicator. 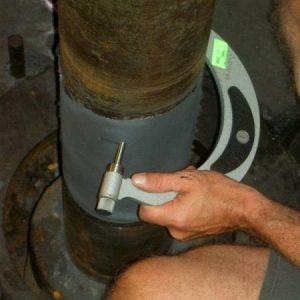 All oil and grease must be removed from the surface of the repair using an appropriate cleaner such as MEK or similar solvent. 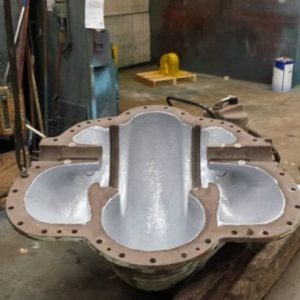 For optimum performance, the surface should be grit-blasted to ISO 8501/4 Standard SA2.5 (SSPC SP10/ NACE 2) and a minimum blast profile of 75 microns using an angular abrasive. For salt contaminated surfaces the area must be grit-blast cleaned as mentioned above and left for 24 hours to allow any ingrained salts to come to the surface. After this 24-hour period the surface must be washed with MEK prior to brush blasting to remove the surface salts. This process must be repeated until all ingrained contaminants have been sweated out of the surface. Warm the Base component to 15-25°C before mixing and do not apply when the ambient or substrate temperature is below 5°C or less than 3°C above dew point. 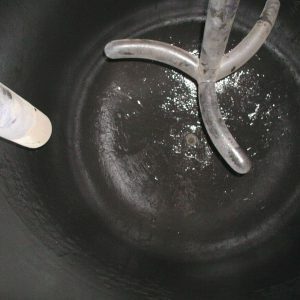 When mixing both materials, it is very important to have a uniform light grey or blue fluid that is streak free. Once mixing is complete, use the mixed paste as soon possible after mixing. Apply the mixed material directly to the prepared surface as soon as possible after mixing. For best results the material has been designed to be applied as a two-coat system. The topcoat should be applied over the base-coat as soon as possible after application but not exceeding 6 hours, using a short-bristled brush, spatula, squeegee or plastic applicator. 1kg unit of mixed product will cover 2.628 sq metres at a nominal wet film thickness of 250 microns. 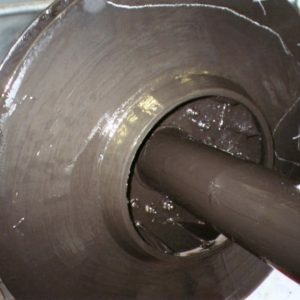 The coverage rate stated is theoretical, practical coverage may vary due to substrate temperature, poor surface profile or pitting. 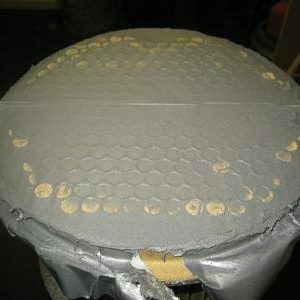 Minimum – the applied material can be over-coated as soon as it is touch dry. Please ensure good practice is always observed during the mixing and application of this product. Protective gloves must be worn during the mixing and application of this product. Before mixing and applying the material please ensure you have read the fully detailed Material Safety Data Sheet.